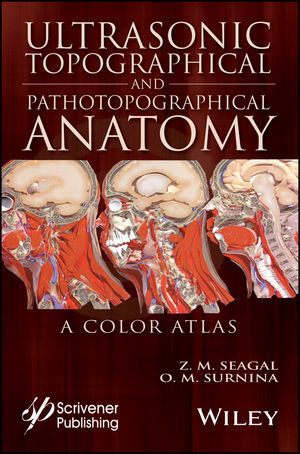 Written by experienced and well-respected physicians and professors, this new all-color volume presents the ultrasonic topographical and pathotopographical anatomy of the body, including the head, neck, chest, anterolateral abdominal wall, abdominal organs, retroperitoneal space, male and female pelvises, and lower extremities. Specific and non-specific ultrasonic symptoms are suggested for normal and abnormal developmental variants, diffuse and local pathotopographical anatomy. This color atlas contains comparative topographical and pathotopographical data and is the first manual of its kind for students and medical specialists in different areas, including those specializing in medical sonography. The original technology was tested at clinics in patients subjected to ultrasonic monitoring. Because of early detection there were no false-positive or false-negative results. The therapy was effective, and, in some cases, the use of the original method of “seagalography” (optometry and pulsemotorgraphy) has made it possible to develop new methods of treatment and/or to determine the optimal doses of drugs, as well as to develop effective drug complexes for treatment of a given pathology. Zoltan M. SEAGAL, Doctor of Medicine, Honorary Academic of the Izhevsk State Medical Academy, Honored Scientific Worker of Russia, three Soros Professor Awards, Director of the Department of Topographical Anatomy and Operative Surgery at the Izhevsk State Medical Academy. Olga V. SURNINA, Ph. D. (Medicine), Highest Category Physician, Director of the Ultrasound Diagnostics Department at the Republican Clinic Diagnostic Center, President of the Association of Ultrasound Diagnostic Physicians (Udmurt Republic), Senior Teacher in the Department of Topographical Anatomy and Operative Surgery.